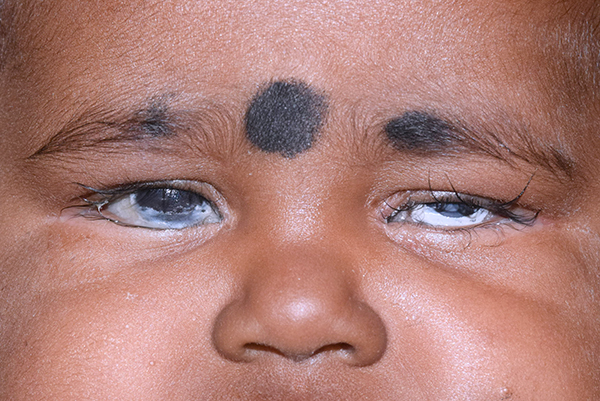 Learn how just three therapeutic doses of vitamin A were essential in preventing 7-month-old Kaveri from going blind. It can be a daunting task for the human body to maintain and sustain normal physiological homeostasis, especially in infants, who have high nutritional needs. About 4 weeks ago, Kaveri’s young mother couldn’t see the usual twinkle in her daughter’s eyes. Kaveri had developed dryness in her eyes that then led to whitening of the transparent part of the eyes. Kaveri’s parents became increasingly concerned about her eye health and took her to several eye doctors in Kurnool, their hometown, but no one was able to help them. The only thing the parents were told was that she would lose her eyesight if not treated immediately. After two weeks of visiting local doctors, feeling helpless, Kaveri’s parents decided to make the journey to Hyderabad and visit L.V. Prasad Eye Institute (LVPEI). Keratomalacia is an eye disorder that results from vitamin A deficiency. Keratomalacia can be present even in a child who otherwise appears healthy. This was the case with Kaveri. At presentation, her corneas were completely dry, lustreless, filled with keratin plaque and were on the verge of perforation. The delay in diagnosis could have permanently damaged her corneas or even led to her death. 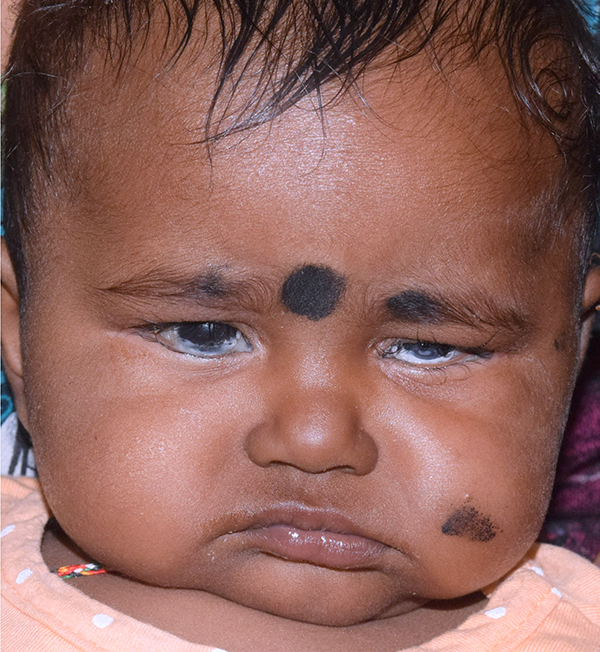 Once keratomalacia was diagnosed, Kaveri was treated with high-dose vitamin A. Within a few hours of receiving her first dose of Vitamin A (100,000 IU) Kaveri’s eyes turned transparent again. A week, and two more doses of Vitamin A (100,00 IU) later, Kaveri’s eyesight was restored. Kaveri’s mother is happy to see the usual twinkle in her daughter's eyes again. Thankfully, Kaveri constantly has her mother’s arm around her - the most comfortable and reassuring place in the world. L.V. Prasad Eye Institute, Hyderabad has been partners with Vitamin Angels since 2016. They help us reach 3,650 children annually.